I am back home after my Easter holidays in Sorrento. The surprise I got in my Easter egg was so much, too much rain !. In one of the few moments of not rainy weather, I dared dressing like a Lady in mint, mixing some of the trends of the season: a peplum skirt from Zara, a lovely contrast collar shirt with dots from Romwe, mint colored tights and cobalt blue heels from Icone. I was in the mood for something different and bold !. Sono tornata a casa dopo le vacanze di Pasqua trascorse a Sorrento. La sorpresa nel mio uovo di Pasqua è stata sicuramente tanta pioggia, troppa ! In uno dei rari momenti di non pioggia, ho osato un outfit da "Signora in menta", mixando alcuni dei trend di stagione: una gonna peplo di Zara, una adorabile camicia dal colletto a contrasto di Romwe, calze color menta e pumps color blu cobalto di Icone. Ero dell'umore giusto per qualcosa di diverso e particolare !. I had bought that cute bag from Zara a while ago, but didn't use it yet. You can wear it as a clutch or use the chain as a shoulder bag. I wish I could learn to bring less things with me in my bag so that I could use smaller bags more often, instead I am a kind of a control freak that needs everything handy !. After all, if I cannot influence the weather forecast and stop the rain, I can at least illude myself to have full control by stuffing my handbag !. I am really in love with this Zara peplum skirt and you'll surely see me wearing it also with a more "normal" outfit, I was thinking about a white shirt, how would you style it ?. Avevo comprato questa borsetta da Zara un po' di tempo fa ma non l'avevo ancora usata. Si può indossare come clutch o usare la catenella per tenerla a spalla. Vorrei tanto imparare a portare meno cose con me nelle mie borse per poter usare più spesso borse piccole, invece sono una maniaca del controllo che deve sempre avere tutto a portata di mano !. Dopotutto, se non posso controllare il meteo e impedire di piovere, posso almeno illudermi di avere il pieno controllo riempiendo la borsa !. Mi piace molto questa gonna peplum di Zara e mi vedrete sicuramente indossarla anche con un abbinamento più "normale", stavo pensando ad una camicia bianca, voi come la abbinereste ?. Reminder: Romwe Easter Giveaway ! Don't forget that Romwe offers a cute Easter Giveaway to the followers of this blog until April 20th so you're all invited to enter !. You can win a detachable collar and $ 40 gift card for a shopping spree on Romwe !. To enter, just follow the easy rules and fill in the Rafflecopter form you find here ;-) and good luck !. Oh my goodness I love the mint skirt and tights, gorgeous! Looking at the colors of your outfit is so soothing specially when the weather is starting to get warmer. this is very pretty look! I love your shirt! I love this sophisticated and chic look! the blouse and skirt complement each other so well! and I'm so pleased to see the color mint on you...it's beautiful!! Mint is such a great colour! I love the combination of mint with that polka dot blouse! Beautiful! You look very feminine and retro! I love your purse and peplum skirt, they're just perfect! Very minty outfit! Like it a lot! Oh wow! I absolutely adore mint & this outfit is just gorgeous! Very elegant look. This different shades of mint color are great. I'm in love with your lovely bag and skirt!!! Mint rocks this season! love your colorblocking! this shirt is really really gorgeous, as is zara skirt too. Che bella la gonna! Stai benissimo! :) Un bacione cara! che bella! I love the colors and the whole outfit! very pretty indeed!!! I love your skirt, really!!!! I love these colour!!! Great outfit!^^ The heels and the tights are really cute! Love the mint and the peplum skirt! thnx for your comment, I'm following now, hope you will return the favor! Ma la borsa di zara è quella che sul sito chiamano Portafoglio cotta di maglia? ò_O Perchè è gigantesca, altro che portafoglio! I follow you, if you want follow me back! Such a cute blog! Love the skirt, tights, and especially your heels!! So cute!! Thanks for the lovely comment! 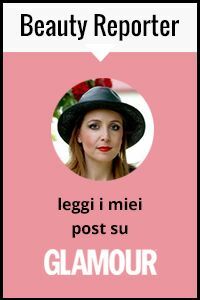 grazie per essere passata dal mio blog e aver lasciato il tuo messaggio! Thanks you very much :) ! You look adorable! This skirt and shirt are dreamy! Thank you so much for your sweet comment! Following you with GFC and Bloglovin! Please follow me back! Thank you! Great blueish colours! I would love to follow each other, so I'm now following you with GFC! I love your outfit :) Mint is my favorite color this spring. This outfit is so cute! Almost like candy! Thank you for your sweet comment! Super cute look! Love your skirt and heels! I love this outfit!!!! Your skirt, tights and bag are absolutely adorable! It's amazing. Great outfit ! Un Look Delizioso: un perfetto abbinamento di Colori...merita un 10 & Lode! Wow, love your amazing outfit! Hey dear, thnx for following, following you back on bloglovin too! I'm your newest follower, follow me back?! i love the mint!! i really love ur skirt and shoes! This is one your best outfits, I think. I simply fell in love with the mint tights worn with the mint peplum skirt, wow. so chic!! Love how you've worn mint! Looking lovely! im in love with this look, Mint is my fav color this season and I love the way you paired the mint skirt, so chic, so classic and so much fun!